HONG KONG: Former Pakistan president Pervez Musharraf said on Wednesday he would launch a new party on October 1, as the retired general plots a return to the frontlines of the restive country’s turbulent politics. Musharraf also accused Afghan President Hamid Karzai of lacking “legitimacy” but urged the West to stay the course against the Taliban and not to abandon the restive region. “I’m going to a declare a party on October 1…. We have to bring about a new political culture in Pakistan,” he told reporters in Hong Kong after addressing an annual investors’ forum organised by the CLSA brokerage. The 67-year-old Musharraf, who lives in self-imposed exile in London, shrugged off the threat of possible legal action arising from his years of military rule of Pakistan. “There are elements opposed to me, political elements, and they are the ones who engineer these cases. One has to face that. I’m very confident nothing can happen (on my eventual return home),” he said. Musharraf, who plans to stand for parliament at the next general election in 2013, did not say where he would launch his new party but reports in Pakistan have said the October 1 event will take place in London. In a BBC interview last week, Musharraf vowed to restore the battered country’s self-confidence and said he thought he could become president again. As army chief, Musharraf ousted a civilian government in a bloodless coup in 1999. He was president from 2001 and has lived abroad since resigning in 2008. Pakistan is back under civilian rule and is currently facing catastrophic floods. Zardari and Bhutto’s 21-year-old son Bilawal is being groomed for his own political career, but Musharraf said Pakistan had to turn a page on its dynastic politics. “I’m totally against this system where it becomes a family domain in all political parties. The essence of democracy is not there in Pakistan,” he said in Hong Kong. After the September 11, 2001 attacks, Musharraf made Pakistan a key ally of then US president George W Bush in the “war on terror”, but faced a resurgence of militancy in the tribal areas near Afghanistan. He had a dismal relationship with Karzai, who regained power last year in an election that was widely decried as fraudulent. “There must be a legitimate government in Afghanistan…. 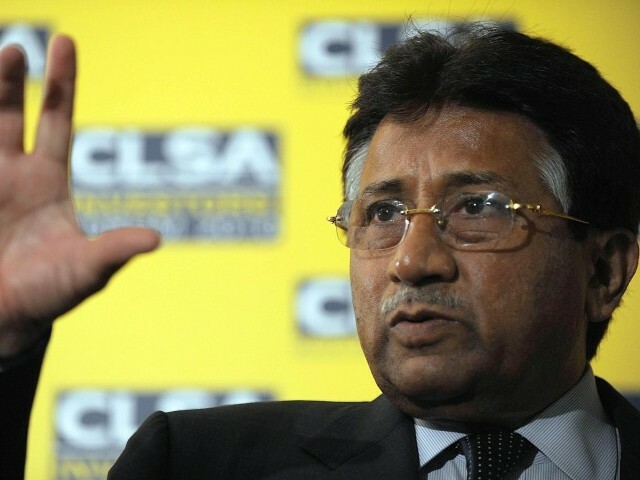 He does not have that legitimacy,” Musharraf told the CLSA forum. But with US President Barack Obama planning a troop drawdown from mid-2011, Musharraf warned that abandoning Afghanistan would “be playing into the hands of the Taliban and al Qaeda” and said “quitting is not an option”.